1. Our tour of China starts at The Yellow River. It is the cradle of Chinese civilization. The Yellow River flows 5,464 kilometers. 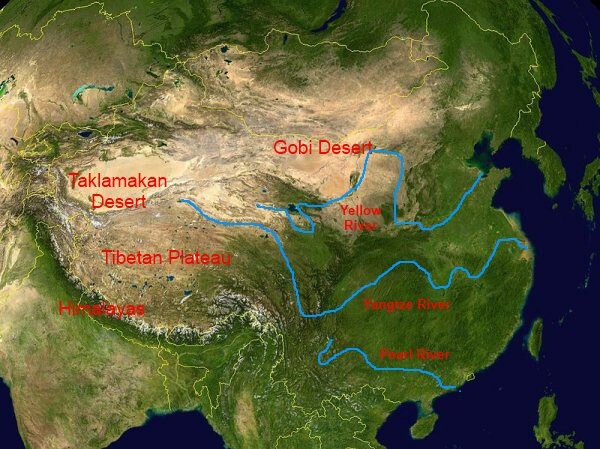 The yellow river starts at Tibet and ends at the Bottai Sea. It is the sixth longest river in the world. 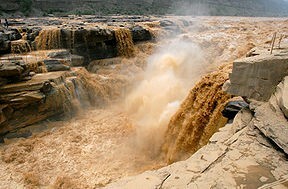 The Yellow River gets it's name and color from the silt it picks up in the Shaanxi Loess Plateau. 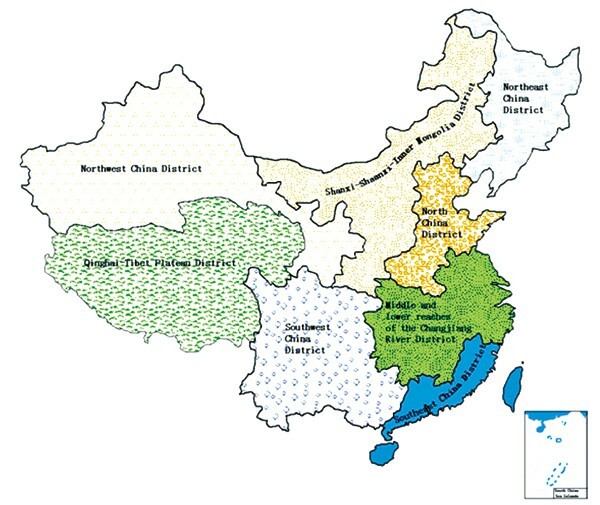 The river supplies water to 12% of the Chinese population. There is very little water left in the river, but was is left is polluted. 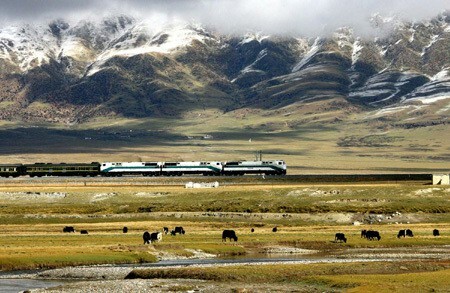 From here we will take a train to the Qinghai-Tibet Plateaus. 2. The Qinghai-Tibet is the largest plateau with 2.5 million sq. kilometers. There is very high altitude and thin oxygen. Very complicated conditions are there, there are glaciers, deserts, plateaus, and grasslands. The unique geographical environment makes the best test ground for research of mountain sickness. It is the tallest plateau in the world with an elevation of 4,500 meters. There is also a railway to get up the plateau which is the highest railway in the world. The plateaus cover more than 25% of China. When we have finished exploring the plateau, a train will take tourists to the Taklamakan Desert. 3. The Taklamakan Desert is one of the driest places in the world. The desert supports almost no animal or plant life. There is more than 105,000 sq. miles that the desert covers. In this desert sand frequently buries houses and crops from violent sand storms. Tourists will then hop on a plane and fly to an airport near Mount Everest. A car will take passengers to the base of the mountain. 4. Mount Everest is 8,848 meters above sea level. 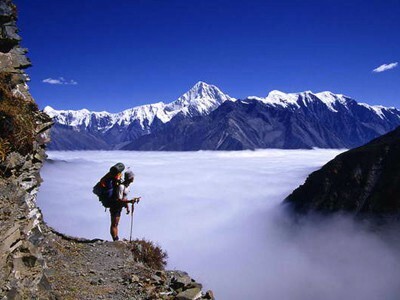 In the Chinese language Mount Everest is pronounced Qomolangma. Mount Everest is the tallest mountain in the world. This beautiful mountain was formed over 60 million years ago. Mount Everest was formed when the Indo-Australian plate and the Eurasian plate crashed into each other. Tourists will go by car to the next destination, the Yangtze River. 5. 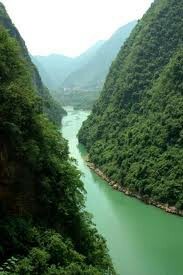 The Yangtze river is 3,964 miles long and the longest river in Asia. 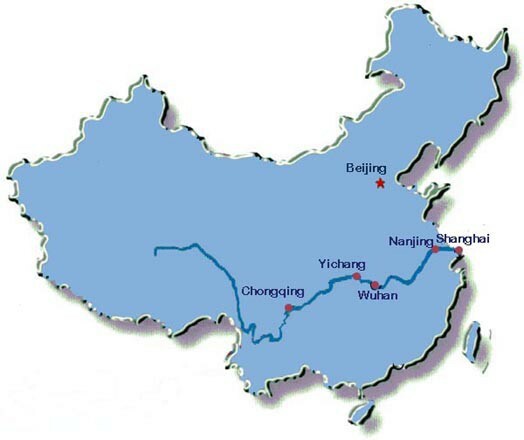 This river is one of the busiest waterways and is a major transportation artery for China. A flood in 1954 killed around 30,000 people. 29 different cities lie along this large river. Yangtze was the name of a village and site of an ancient ferry crossing. A boat will be waiting for the tourists that will transport them to the Huang Shan Mountain. 6) The hang Shan Mountain is originally know as the Yishan Mountain, but was renamed in 747 AD. The top of this gorgeous mouton is called the "Sea of Clouds". There are hotels at the top of the Huang Shan Mountain. It is commonly known as the Yellow Mountain. This mountain is an important botanical research place for China and has natural resources and lots of plants. 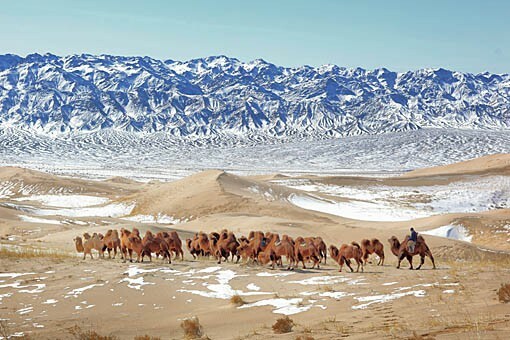 After enjoying the mountain, travelers will take a train to the final destination, the Gobi Desert. 7) The Gobi Desert is the fifth largest desert in the world. This desert goes into part of Southern Mongolia. The Gobi Desert gets so cold that it sometimes snows there. The desert floor is mostly bare rocks. The desert is 1520 meters above sea level and is 281,800 sq. kilometers. 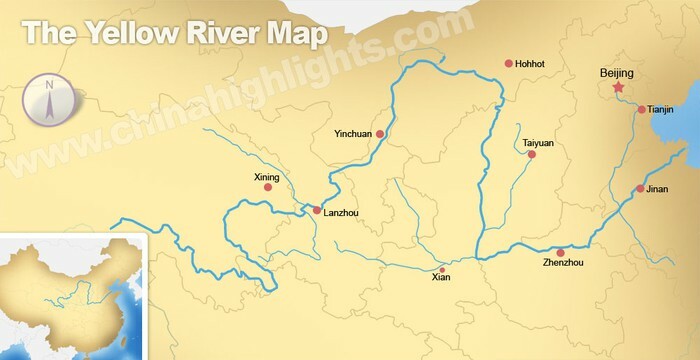 1) The map of the Yellow River. 2) Where the Qinghai-Tibet plateaus are. 3) The Physical map of the Taklamakan Desert. 4) Where Mount Everest is located. 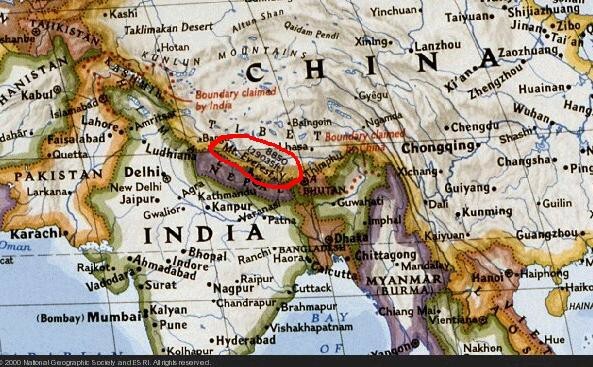 5) Location of the Yangtze River an a map. 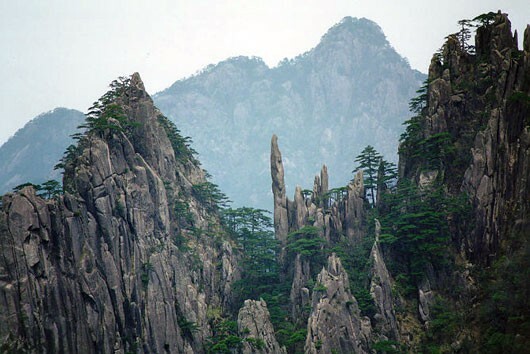 6) Where the Huang Shan Mountain is located. 7) Where the Gobi Desert is in China. 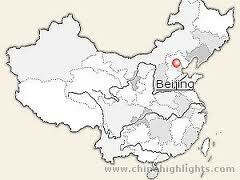 Where Beijing is located compared to all of the other locations. 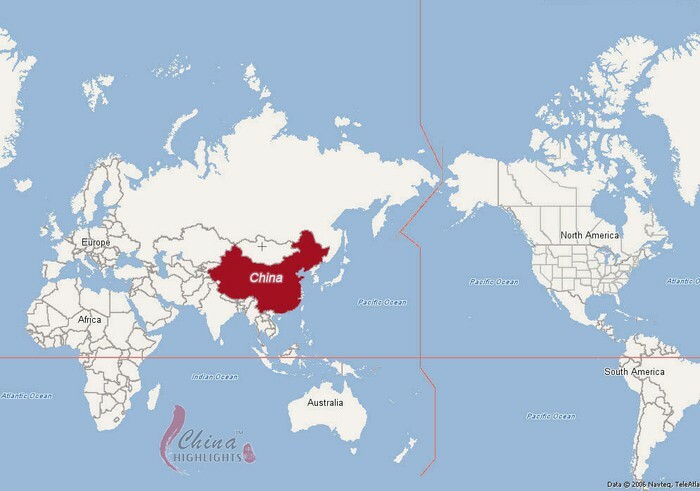 China on the map of the world.